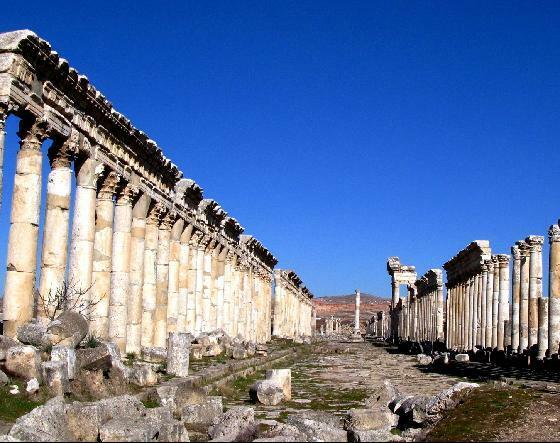 The Syrian Tetrapolis consisted of the cities Antioch أنطاكيا, Seleucia Pieriaسلوقية بييريا, Apamea أفاميا, and Laodicea in Syriaاللاذقية . Alexander’s generals (the Diadochi) jostled for supremacy over parts of his empire, and Ptolemy, one of his generals and satrap of Egypt, was the first to challenge the new rule, leading to the demise of Perdiccas. His revolt led to a new partition of the empire with the Partition of Triparadisus in 320 BC. Seleucus, who had been “Commander-in-Chief of the camp” under Perdiccas since 323 BC but helped to assassinate him later, received Babylonia, and from that point continued to expand his dominions ruthlessly. Seleucus established himself in Babylon in 312 BC, used as the foundation date of the Seleucid Empire. He ruled over not only Babylonia, but the entire enormous eastern part of Alexander’s empire, Following his and Lysimachus’ victory over Antigonus Monophthalmus at the decisive Battle of Ipsus in 301 BC, Seleucus took control over eastern Anatolia and northern Syria. In the latter area he founded a new capital at Antioch on the Orontes, a city he named after his father. An alternative capital was established at Seleucia on the Tigris, north of Babylon. 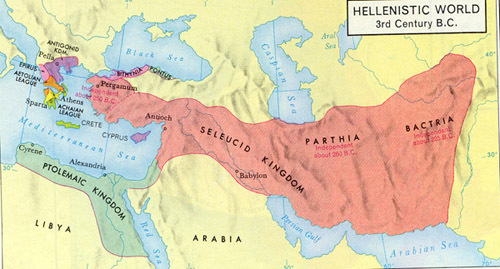 Seleucus’ empire reached its greatest extent following his defeat of his erstwhile ally, Lysimachus, at Corupedion in 281 BC, after which Seleucus expanded his control to encompass western Anatolia. He hoped further to take control of Lysimachus’ lands in Europe – primarily Thrace and even Macedonia itself, but was assassinated by Ptolemy Ceraunus on landing in Europe. His son and successor, Antiochus I Soter, was left with an enormous realm consisting of nearly all of the Asian portions of the Empire, but faced with Antigonus II Gonatas in Macedonia and Ptolemy II Philadelphus in Egypt, he proved unable to pick up where his father had left off in conquering the European portions of Alexander’s empire. Alexander the Great is said to have camped on the site of Antioch, and dedicated an altar to Zeus Bottiaeus, it lay in thenorthwest of the future city. This account is found only in the writings of Libanius, a 4th century AD orator from Antioch, and may be legend intended to enhance Antioch’s status. But the story is not unlikely in itself. 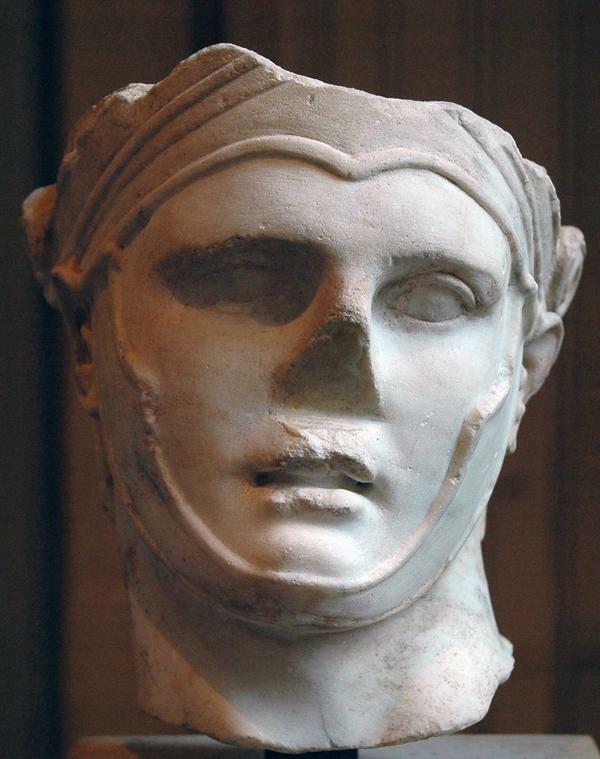 Like the other three, Antioch was named by Seleucus for a member of his family. He is reputed to have built sixteen Antiochs. Seleucus founded Antioch on a site chosen through ritual means. An eagle, the bird of Zeus, had been given a piece of sacrificial meat and the city was founded on the site to which the eagle carried the offering. He did this in the twelfth year of his reign. 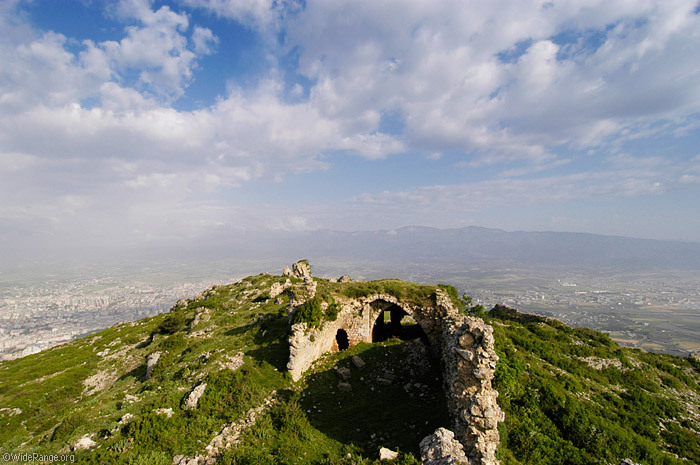 Antioch soon rose above Seleucia Pieria to become the Syrian capital. The original city of Seleucus was laid out in imitation of the grid plan of Alexandria by the architect Xenarius. Libanius describes the first building and arrangement of this city (i. p. 300. 17). The citadel was on Mt. Silpius and the city lay mainly on the low ground to the north, fringing the river. Two great colonnaded streets intersected in the centre. Shortly afterwards a second quarter was laid out, probably on the east and by Antiochus I, which, from an expression of Strabo, appears to have been the native, as contrasted with the Greek, town. It was enclosed by a wall of its own. In the Orontes, north of the city, lay a large island, and on this Seleucus II Callinicus began a third walled “city,” which was finished by Antiochus III. A fourth and last quarter was added by Antiochus IV Epiphanes (175-164 BC); and thenceforth Antioch was known as Tetrapolis. From west to east the whole was about 6 km in diameter and little less from north to south, this area including many large gardens. was a town in antiquity, the capital of Seleucus I Nicator, in Syria Prima. It was the port of the western Seleucid capital of Antioch, lying close to the mouth of the Orontes. According to Pausanias and Malalas, there appears to have been a previous city here named Palaeopolis (“Old City”). 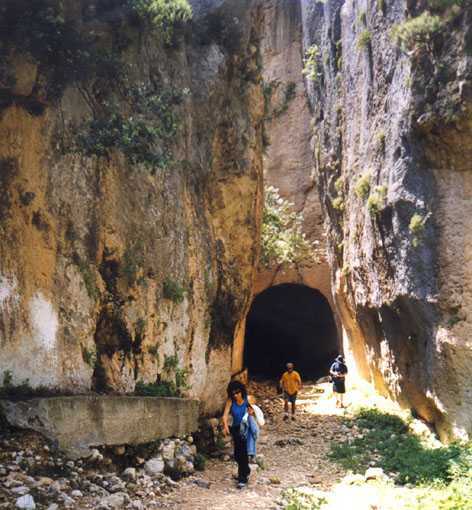 Antioch on the Orontes (now Antakya). Its first colonists were the Greeks of Antigonia and .Seleucia was of great importance in the struggle between the Seleucids and the Ptolemies; it was captured by Ptolemy Euergetes in 246. As the Ptolemies (Lagids) and Seleucids fought over the city, it changed hands several times until 219 BC, when the Seleucid Antiochus III the Great recaptured it. Then it obtained its freedom and kept it even to the end of the Roman occupation. It had long enjoyed the right of coinage. Apamea (Greek: Απάμεια, Apameia; Arabic: آفاميا‎, Afamia) was a treasure city and stud-depot of the Seleucid kings, was capital of Apamene, on the right bank of the Orontes River. it was fortified and enlarged by Seleucus I Nicator in 300 BC, who so named it after his Bactrian wife, Apama – not his mother, as Stephanus asserts; compare Strabo, p. 578). In pursuance of his policy of Hellenizing Syria, it bore the Macedonian name of Pella. The fortress was placed upon a hill; the windings of the Orontes, with the lake and marshes, gave it a peninsular form, whence its other name of Cherronêsos. The location of Latakia, the Ras Ziyarah peninsula, has a long history of occupation. The Phoenician city of Ramitha was located here, known to the Greeks as Leukê Aktê ‘white coast’. Ramitha dates at least to the second millennium BCE and was a part of the kingdom of Ugarit a few miles further north. 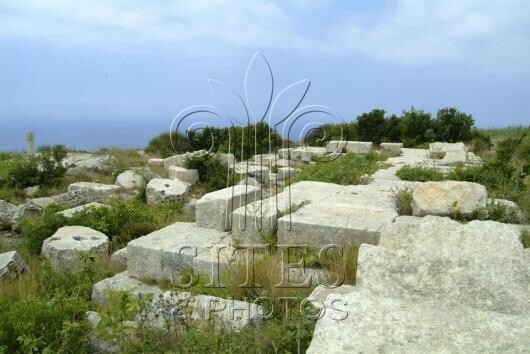 As Ugarit declined at the end of the second millennium BCE, the better natural harbor facilities at Ramitha increased its importance. The settlement became part of the Assyrian Empire, later falling to the Persians, who incorporated it into their fifth satrapy, Abar-Nahara, beyond the river. It was taken by Alexander the Great in 333 BCE following his victory at Battle of Issus over the Persian army led by Darius III, beginning the era of Hellenism in Syria. 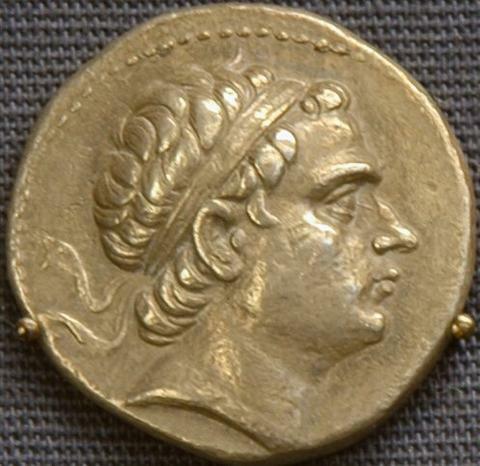 After the death of Alexander the Great in 323 BCE, Northern Syria fell under the control of Seleucus I Nicator. He founded the city of Laodicea on the site, one of five cities named after his mother Laodice. 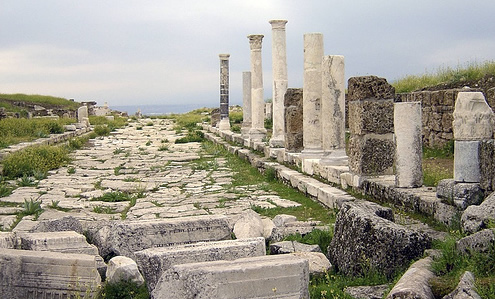 Laodicea became a main center of Greek culture and one of the new satrapal headquarters. 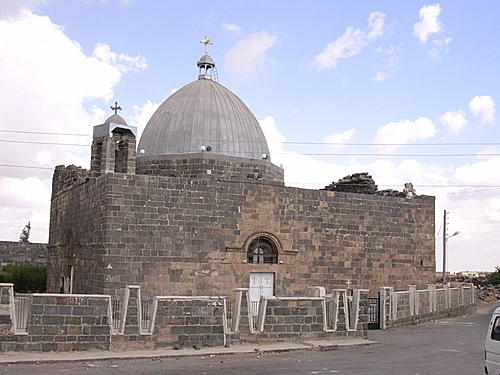 It was the main harbor for Apamea, linked with a road across the Nusayri mountains. Laodicaea became a major port, second only to Seleucia Pieria. It formed a tetrapolis, with Antioch, Seleucia Pieria and Apamea linking the four main cities of Seleucid Syria into a union known as the Syrian tetrapolis. It is a city most beautifully built, has a good harbour, and has territory which, besides its other good crops, abounds in wine. Now this city furnishes the most of the wine to the Alexandreians, since the whole of the mountain that lies above the city and is possessed by it is covered with vines almost as far as the summits. And while the summits are at a considerable distance from Laodicea, sloping up gently and gradually from it, they tower above Apameia, extending up to a perpendicular height. I have been to Syria few times and am interested in doing a project on the four cities of the Syrian tetropolis that Seleucus I Nicator founded. What resources، archeological studies, or books would be useful for me to understand why Seleucus chose to found these four cities? Why did he choose these locations? Sorry for not giving info, I don’t have the proper background to answer your questions. What I did is to surf the net and find some INFO and a book about Strabo !!!!. But a very good area to do some research on !!!. I will reverse the question and ask you to send me some info !!! I like the facebook page !!!! 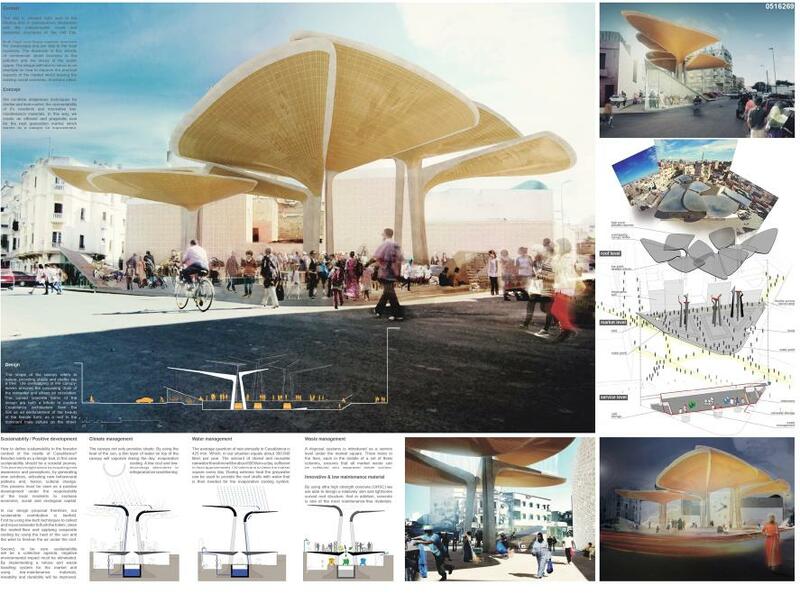 ; however what I am hoping to start seeing in Syria is a difference between urban planners and urban designers and architects. Coz the lines are not proper set in profession and academic practice. شكرا لك استاذ عامر عامر واقدر لك الاهتمام بضرورة التمييز بين التخطيط العمراني وبين التصميم العمراني وبين الهندسة المعمارية والذي يبدو انه نتاج بعض الاحباط الذي يشعر به الكثير من الزملاء بسبب التباين الواضح بين مناهج وطريقة تدريس التخطيط في الجامعات الدولية والجامعات السورية . على كل حال ، رغم ان هذه القضية تفتح مجالا واسعا للنقاش والتبريرات ، الا انه يسعدني ان اطمئناك اننا في موقع “التخطي في سورية” حريصين جدا على هذا التمييز ليس بقصد الفصل الكامل بين هذه المعارف الثلاثة وانما بقصد ارساء ممارسات صحيحة من الناحية المعرفية . احببنا ان يكون موقع “التخطيط في سورية” منصة للحوار حول قضايا التخطيط بحيث تخرج من غرف ومكاتب الوزارات والمكاتب الحكومية لتعرض بشكل شفاف وديمقراطي اوتصبح بتناول اوسع شريحة ممكنة من المواطنين والمهتمين في محاولة لترسيخ مفهوم التشاركية في اتخاذ قرارات التخطيط والتطوير المكاني على الصعيدين العمراني والاقليمي . وبهذه المناسبة ، انتهز الفرصة لكي اكرر دعوتي لك ولكل زوار صفحتك لمشاركتنا واغناء النقاش والحوار بمعرفكم و آراذكم .